Ethical treatment of animals is something I am keen on – and I was torn between the experience of riding an elephant, and the potential of tacitly endorsing mistreatment of animals. 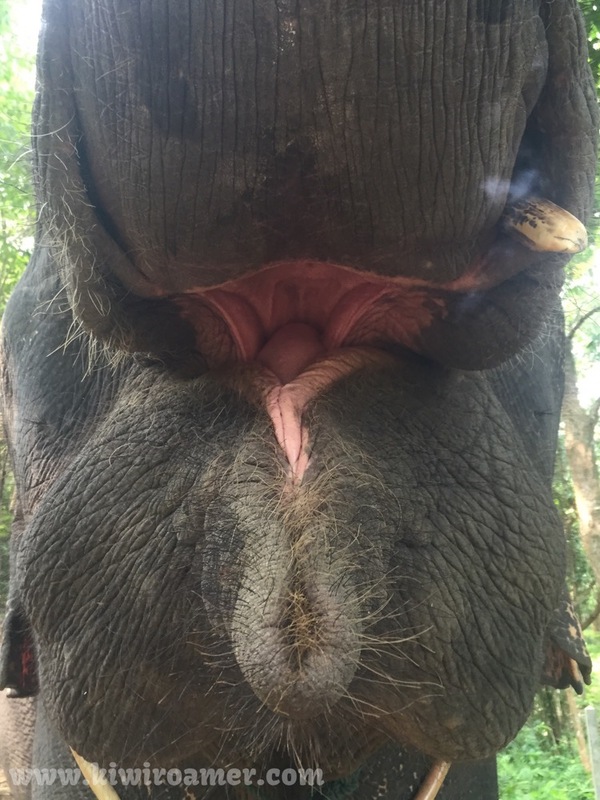 Many many forums exist, with varying views on this subject, so it was with care that we chose to use Kok Chang Safari Elephant Trekking for our Elephant ride. I think what struck me immediately as I looked at the Elephants is that I would have absolutely no clue about what an Elephant should look like, whether cared for or not. Wildlife TV shows depict Elephants in a craggy, war-torn sort of manner, with nicks and tears in their ears and on their bodies, and these elephants seemed in better condition than these. The handlers did have the sticks with tools in the end, but ours never used it, and there really seemed an easy relationship between elephant and handler. We had asked Nicky (our driver) which Elephant trekking company treated their animals ethically, and his response was interesting. He essentially pointed out that the Elephant was venerated in Thailand, and in fact was the Kings Animal – the concept of mistreating the Kings Animal was unheard of, even if it helped get tourist dollars. Verdict? I think its fair to say the jury is still out. It seems weird to pen up a large animal that seems to be better suited to the wild, and use it to provide tourists with an experience, however that is from a Kiwi girl perspective where it is perfectly acceptable to tame and ride horses through to farming and eating beef and lamb. Elephants are an integral part of Thailand, both in a spiritual sense and a functional sense. So, I think, as long as a bit of research is done, and it fits with your psyche, give it a go. Posted on September 3, 2015 November 30, 2016 by thekiwiroamerPosted in Phuket, ThailandTagged Elephants, Ethical treatment, Mistreatment, Riding Elephants.